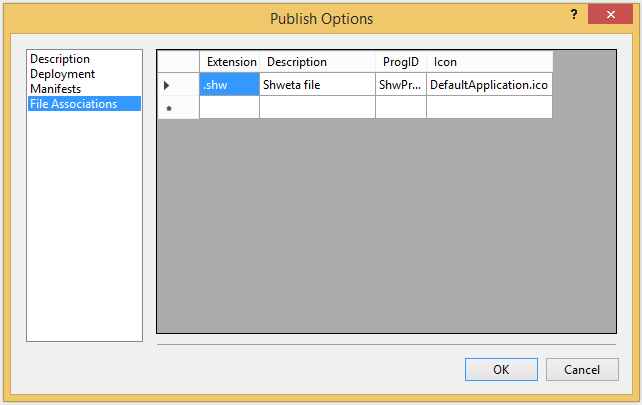 Step 1 - Creating an application: Create a WPF application or you can take any of your existing application. 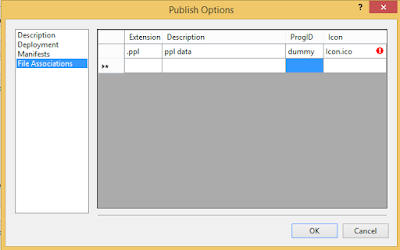 I’m working on WPF application (using MVVM) but the concept remains same for others, you can go with your Windows Forms or Console application also. That’s pretty acceptable. 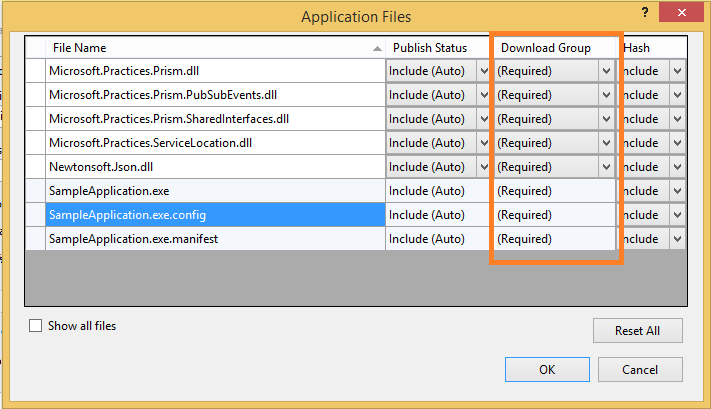 In my application, I'm taking few customer properties and a file path. On the above screen check the given checkbox and browse your pfx file. Note: Please verify expiry date of the certificate once it is browsed successfully. Step 5 - Tweak your application: Now most important step is to update our WPF application, so that it can understand this new extension (.shw). Step 6 - Final Step: Build your code. Publish it. Install it and wow you are done. 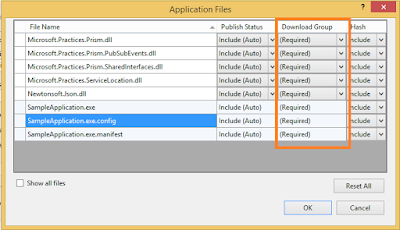 After performing all these steps, try double clicking your file, it will automatically pop-up your application with pre-loaded data. It's straight forward. Isn't it? Open you application manifest. In case, if it is not available please add a new app manifest file to your project and open it into the editor of your choice. Add a new fileAssociation element as a child of Assembly element. Add 4 attributes to this newly added fileAssocitation element – extension, description, progid and defaultIcon. Sample manifest file is given here, In case if you want to associate more file types, then you have to add another fileAssocitation element. Entire list of Mage command parameters is given over here. Hope you enjoyed associating your file with multiple ways. Create a file with funny extension, open it and have fun. Happy learning! After hitting my head for many minutes, I thought, let's check out what is this 'download group'. On surfing net, I got the clue that download group is nothing but a collection of files which are going to be part of our publish activity. I immediately changed the to build action to 'Content' and force it to 'Copy Always'. And guess what? Last night, I was scared to look at my blog, fearing all the followers have given up on me. Trust me, this is very-very scary feeling. Although it’s been not so long since I become a blogger but a fear of losing followers, who actually take time to read my posts is something which I can’t express. Hope you are reading this. After a long break, it is bit difficult to get the same momentum. But I’ll try to make it up. So, stay tuned and keep reading.